Reclaim our waters! Support the Community! Join the Fun! Help Clean Up Our Lakes & Rivers! 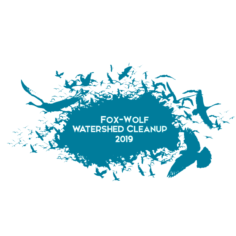 There are more than 50 cleanup sites coordinated throughout the Fox-Wolf River Basin—from Fond du Lac to Green Bay. All cleanup supplies are provided and there is no cost to participate! Choose your site, invite your friends, clean up and have fun! All volunteers are invited to the Cleanup Picnic in Appleton aftr cleaning up for free lunch, music, games, bounce houses, raffs, and more! Following the Cleanup, all volunteers are invited to attend the Cleanup Picnic in Appleton for lunch, music, bounce houses, games, raffles and more all free for our volunteers!